in very wide range of colors & shapes since more than a decade. Marshall Ceramics develops, designs and markets a complete range of Bathroom and Sanitary products including Water Closet, Wash Basin, Sink and Bathroom Accessories, and is reckoned to be India's leading company that caters to unmet need and expectation of clients about design and quality of the products. 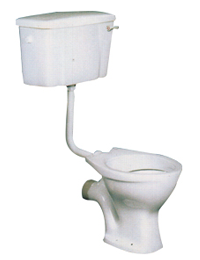 We are manufacturers & Exporters of Sanitary ware in very wide range of colors & shapes since more than a decade. With every creative & innovative designing ideas backed by unique material composition and cared manufacturing process reflecting our experience and research. Our Motto is customer satisfaction which we have achieved over the years by giving best prices, quality and services. With products that exude accomplished elegance and unmatched functionality, we initiated our business journey in the year 2005. After more than a decade, we still boast of a strong local manufacturing presence, world class product solutions, a commitment to quality excellence, and much more. In this way we hold all possible solutions for your bathrooms and kitchens. We expertly combine advanced technology and adroit human resources to produce market-leading products that are nominally priced and showcase luxury, style and elegance. Today, owing to our expertise of meeting varying style, installation and pricing requirements of clients as per their specific preferences, we have carved distinguished business footmarks across the globe including wide export presence in below countries: Africa, Egypt, Sudan, Ethiopia, Djibouti, Ghana, Benin, Nigeria, Uganda, Togo, Tanzania, Kenya, Saudi Arabia, Dubai, Oman, Quwait, Bahrain, Muscat, Bangladesh and Sri Lanka. We are manufacturers & Exporters of Sanitary ware in very wide range of colors & shapes since more than a decade. 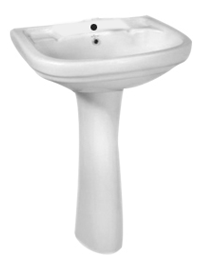 Marshall Sanitary Manufacturing all type of Wash Basin. 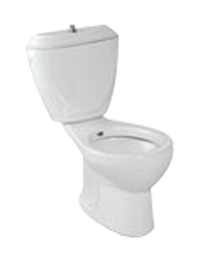 Marshall Sanitary Manufacturing all type of Water Closets. 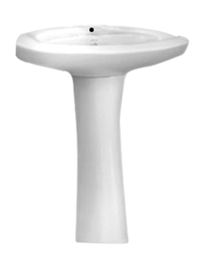 We offer a wide range of Accessories of Sanitary Ware. We at Marshall Ceramics focus our endeavors on providing clients quality bathroom and ceramic products like Water Closet Bowl that exhibit excellent functionality even under the pressures of continuous, daily use. In line with ISO 9001:2008, we observe stringent quality standards, so that we deliver only high quality, rugged and reasonably priced products to our clients.